Oak Forest Rotary Club's Trivia Night was a huge success with a nice group of supporters coming out for a night of fun and advocacy. There was a nice crowd that came together for the Rotary's mission to provide service to others. 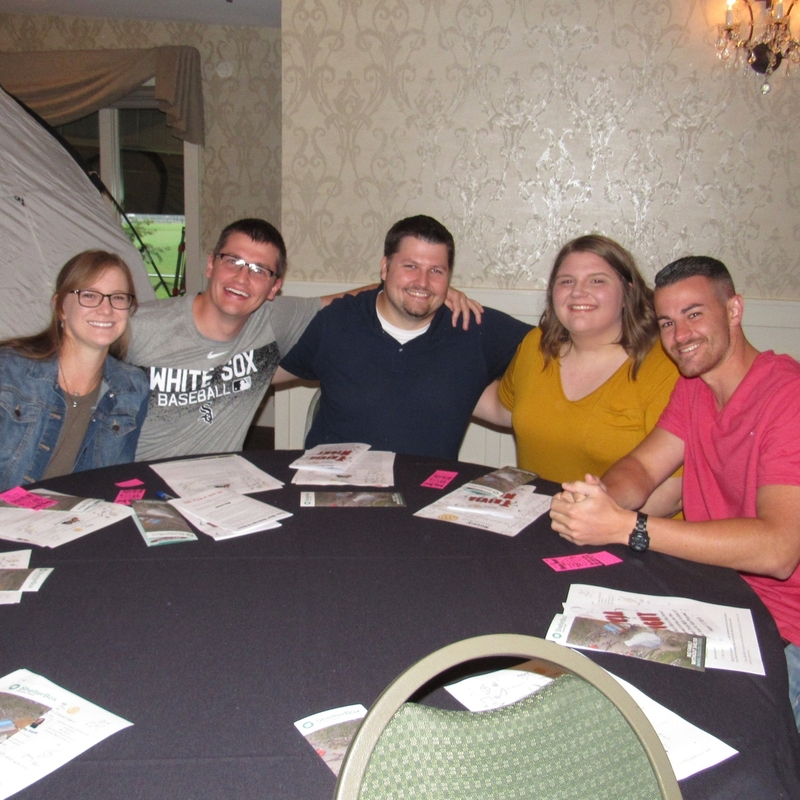 A group of residents joined the Oak Forest Rotary to team up to see if they would be the biggest Brainiacs in the room for their Trivia Night held at Gaelic Park. 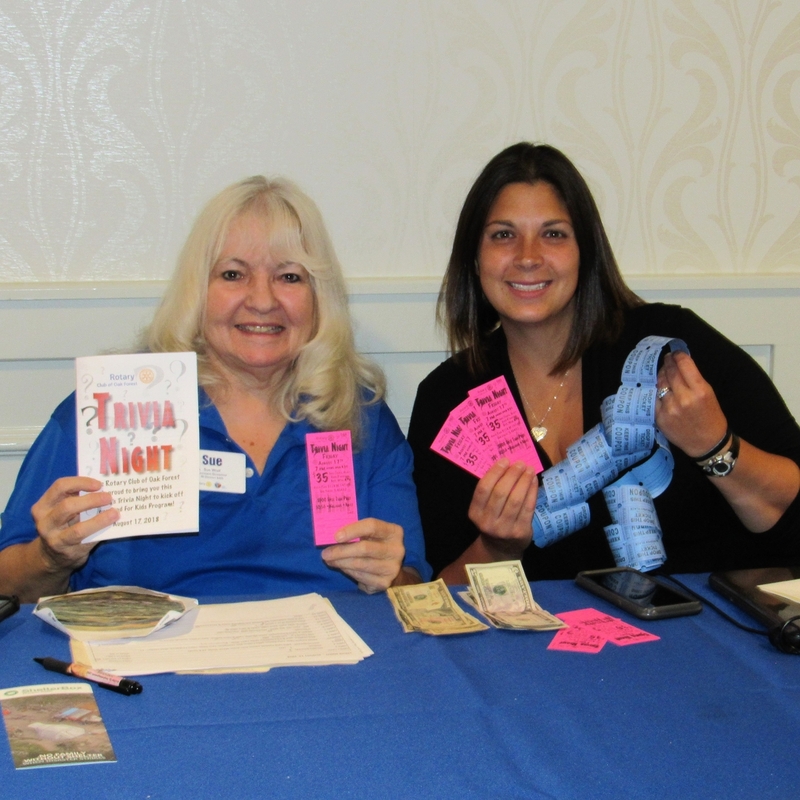 This is fun coupled with giving which is a main stay for all the events that the Oak Forest Rotary Club holds. It equals having fun and raising money for the worth while missions to help not only resident of Oak Forest, but thousands of people around the world. The big winner of the night, was the donation that the Oak Forest Rotary Club made to their partner in disaster relief, Shelter Box. Shelter Box is an amazing global disaster relief charity that helps thousands of people that are experiencing natural disasters, basically, on the ground. Started as a Rotary Club project, this amazing organization has provided relief for 162,000 people around the world in the wake of natural disasters. From New Orleans to Syria, Shelter Box has been there. What Shelter Box does is provide basic living essentials to people in the midst of these disasters. 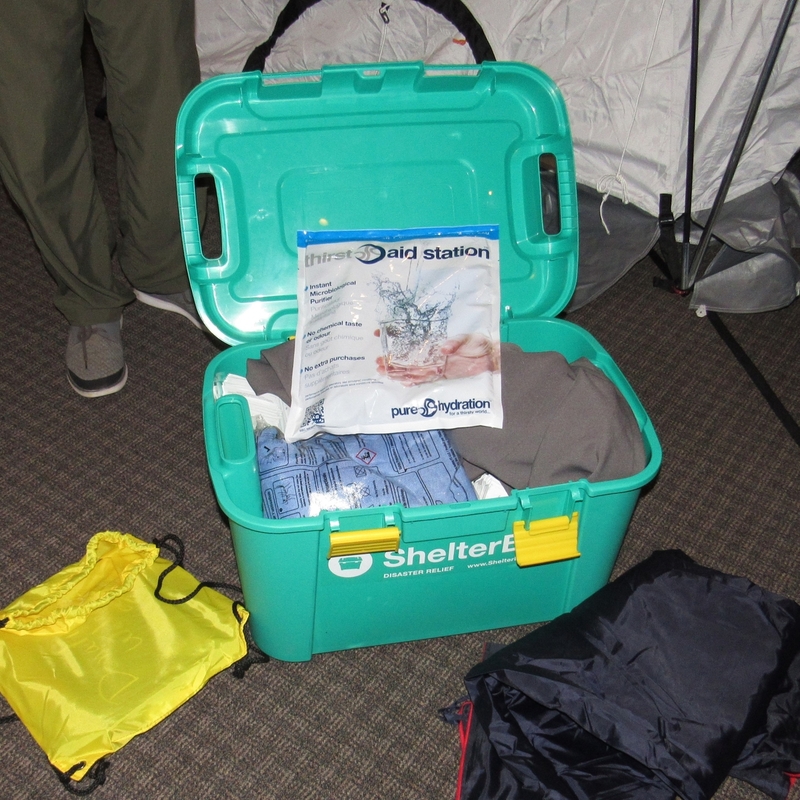 The Box provides the necessities to survive during the horrific natural disaster that are occurring around the world. From hurricanes to floods, Shelter Box is there. 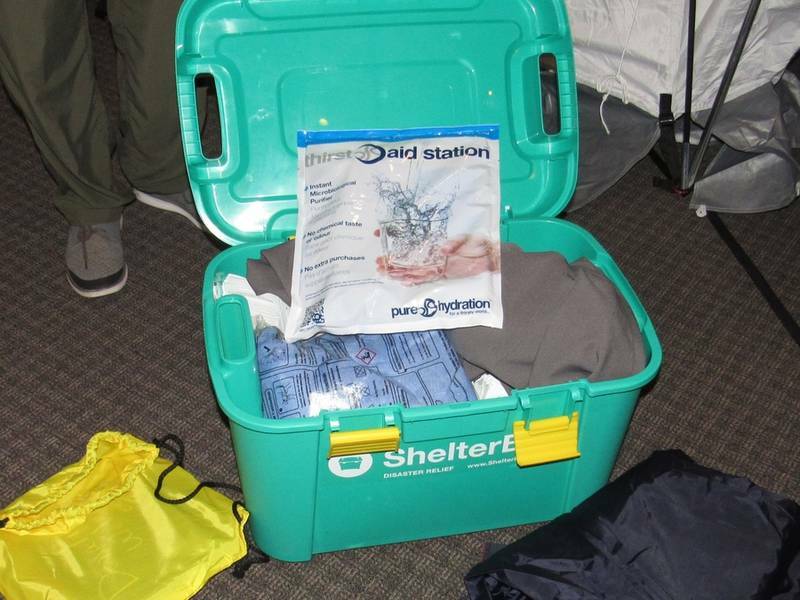 A typical box will have life saving equipment such as a tent, tools to survive, a water purification kit, a LuminAID solar light, thermal fleece blankets and more. This equipment is essential to survive a natural disaster such as the flooding in Houston which occurred just last year. This is a wonderful and life saving organization which was not only started by a Rotarian, but supported by Rotary Clubs all over the world. Oak Forest Rotary Club donated the money to buy a Shelter Box. This comes from the hard work and dedication to the volunteers that make up this great organization. Jody Redmann who is the president of the Oak Forest Rotary Club in Oak Forest and the Membership Chair, Bill Zerinskas presented the check to Bill Ballou, a Rotary Club Governor, who has vigorously worked for the Rotary Club and Shelter Box for many years. The Rotary Club of Oak Forest's next night out is at Chicago Gaelic Park on October 28, 2018 for an Award Winning Acts of Kindness Cabaret. It will be a wonderful evening of entertainment, food and fun. Please go to http://bit.ly/OFRotaryCabaret2018 for tickets. Or you can call Joe Pilch at 708-687-8383.